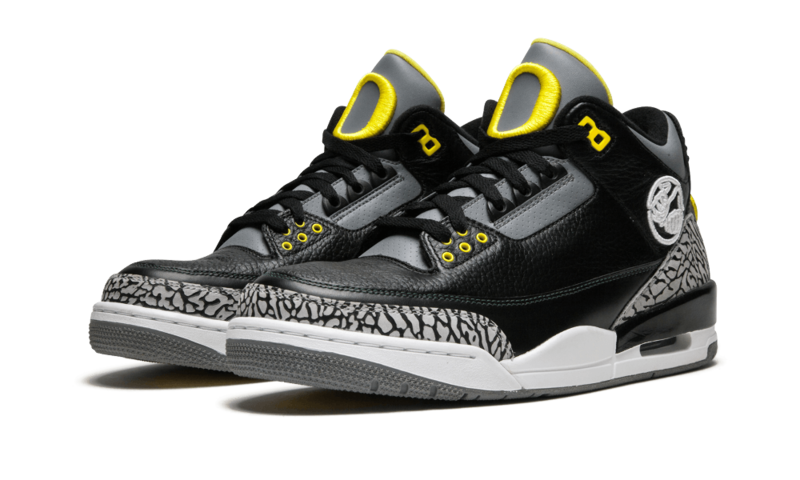 Jordan Brand and the University of Oregon released an exclusive “Ducks” colorway of the Air Jordan 3 dubbed, “Pit Crew” – which is a nod to the upwards of 1500 crazed fans in the student section of Oregon’s home games across all of Oregon’s athletics. Back in 2011, the Air Jordan 3 Oregon Ducks “Pit Crew” were given to Oregon’s student cheering section in extremely limited quantities. The shoe features a Black leather upper and Yellow accents with the Oregon “O” logo stitched into the tongue and duck feet stitched into the heel. While the “Pit Crew” Air Jordan 3 never released to the public, how many of you would consider these to be one of Jordan Brand’s best player exclusives to-date?